With all the excitement around Amazon and Apple’s new tablet announcements in September, there was little attention given to Barnes & Noble’s plans for the Nook. 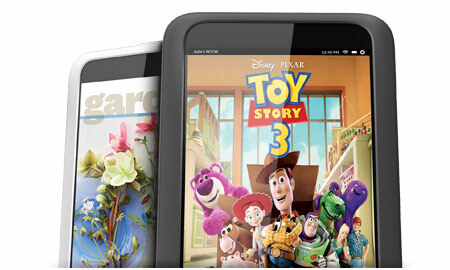 There will be two new Nook tablets coming out later this year to compete directly with Apple and Amazon. One, the Nook HD (priced at $199-$299 depending on storage), is a 7-inch tablet that will compete directly with the Kindle Fire HD, Google’s Nexus 7 and the 7 inch iPad that Apple will announce imminently. Barnes & Noble will also have a 9-inch table, the Nook HD+, that directly targets the iPad and Fire HD 8.9 inch. Couple the potential and value of these devices with Microsoft’s major investment in the Nook division earlier this year, and it is apparent you should not ignore the impact of these devices. They will sell a lot of units. With the price point for the new devices, over 600 stores in the US (compared to less than 400 Apple stores), the expected holiday traffic at these stores (and online), their ability to sell tablets at Walmart and Target (where Amazon is no longer present) and their success with the first iteration of Nook tablets, Barnes & Noble will sell millions of units this year. These sales will keep them in the top-5 of tablet manufacturers, possibly putting them in the three spot. That means millions of potential players for your games. Tablets will no longer equal iPads. Game companies could reasonably focus their development efforts on iOS tablets (if they are making tablet-only games) and be comfortable that they are reaching most of the market (especially in the US). The original Fire and Nook tablet was a little blip against this but not significant enough to invalidate a strategy of focusing on iOS. With the new Nooks (and Fires), creating apps that only work on iOS tablets would be akin to only making tires for Toyota. It will further fragment the tablet market. There are significant differences, particularly in display, between the upcoming major Android tablets (including the Nook). This fact will increase the development effort as you will need to create art assets that support different resolutions and sizes and also amplify the testing resources you need. You need a relationship with Barnes and Noble. All successful game companies have relationships with their platform partners. On the core gaming side, that means being close to Sony, Nintendo or Microsoft. In social, it is Facebook and Apple (and increasingly Amazon). These relationships allow you to understand what works best on the platform, know about and build for changes to the platform and leverage promotional opportunities. You now should add B&N to your target partner list. There are two issues that can blunt or even negate the impact of the Nook Tablet for social game companies. First, it is still not clear when (and if) in-app purchases will be enabled. Until this functionality is added, you cannot publish a free-to-play game on the Nook Tablet and I have not been able to get a definitive timeline as to when it will have this capability. You can re-work your game to change monetization away from the free-to-play model but it would given the limited monetization potential in other models and difficulty in changing a game’s design, you probably need to wait for B&N to enable in-app purchases. Second, the Nook Tablet’s market is likely to be US-centric or US-only. Given the huge revenue opportunities outside the US and the ability to lessen your risk by publishing in multiple markets, you need to take into account the fact that in the foreseeable future most of your Nook revenue will come from North America.